For banks, the marijuana industry has become a question of risk vs. profit. Even though marijuana is becoming legal in more and more states for both medical and recreational use, the vast majority of banking institutions in the U.S. are sitting on the sidelines. Bypassing what could be billions in business. The strict regulations involved, the extreme scrutiny and the overwhelming amount of paperwork required deters banks from making marijuana banking a line of business. The very few banks that are willing to open accounts tied to cannabis typically impose steep fees and limitations on their clientele. 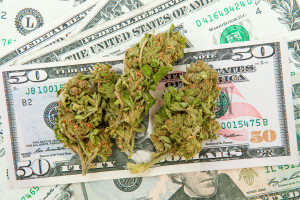 According to the guidelines issued by the Treasury Department, banks involved in the marijuana industry must do “due diligence” in the monitoring of their customers for suspicious activity. Robert Rowe, vice president and associate chief counsel of the American Banker’s Association, explained that no other industry comes close in terms of what is required for compliance. “If a bank has a restaurant or a tavern that serves alcohol, they don’t have to go in there and monitor to make sure the business isn’t serving alcohol to a minor. With a marijuana business, the obligation shifts back to the bank”. With banking unattainable for the majority of dispensary owners, ATMs have become one of the most feasible ways to keep customers supplied with cash. Because marijuana is not cheap, it is important to dispensary owners that they have an in-store ATM. 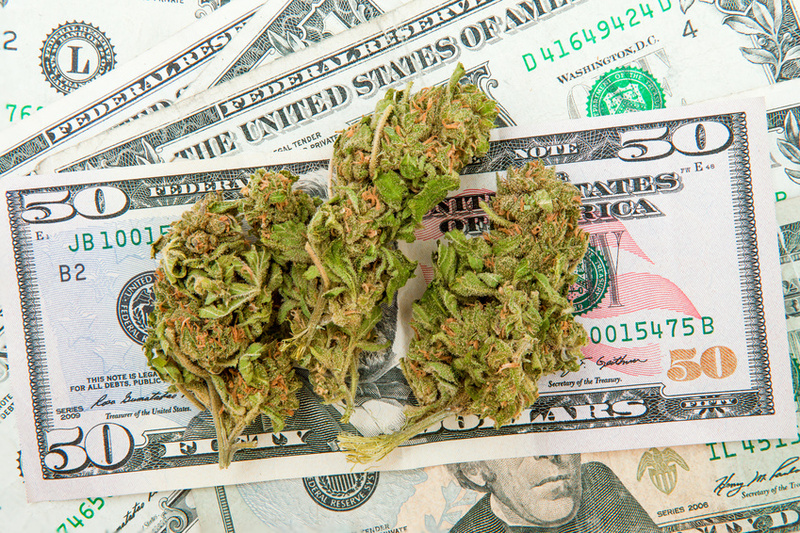 A high-quality strain of marijuana can easily cost upwards of $300. Jamie Perino, the CEO of Euflora dispensaries, was unable to find a bank that would work with her. Now, she must pay her employees and her landlord with cash. She can only accept cash from her customers, and she must pay her taxes in cash. Her ATM for Euflora’s 16th Street Mall location is even listed under a different business name in order to avoid close scrutiny. While it is not illegal for banks to work with the cannabis industry, the federal requirements involved make it more work than is profitable for financial institutions. Any bank that deals with the cannabis industry is going to be under a lot of scrutiny, whether they’re involved with ATMs or checking accounts. This leaves many businesses with the cash only option, which is incredibly unsafe and inconvenient. Another increasingly popular option for marijuana businesses is a medical marijuana merchant account with a high risk provider. The advantage with this type of merchant account is that safe payment processing can be secured without worrying about the endless red tape involved with traditional financial institutions. The application process is simple and hassle-free. The conservative approach of bankers is justifiable. After all, they have the responsibility of dealing with other people’s money. Unfortunately, not much can be done for the present banking situation of the marijuana industry until Congress makes changes. For now, businesses are forced to either operate in cash or seek alternative solutions like medical marijuana merchant accounts. Contact us for a MMJ merchant account today! This entry was posted in Marijuana Banking, Marijuana Industry and tagged Marijuana Industry, MMJ merchant account, Payment solutions for MMJ Merchants by admin. Bookmark the permalink.